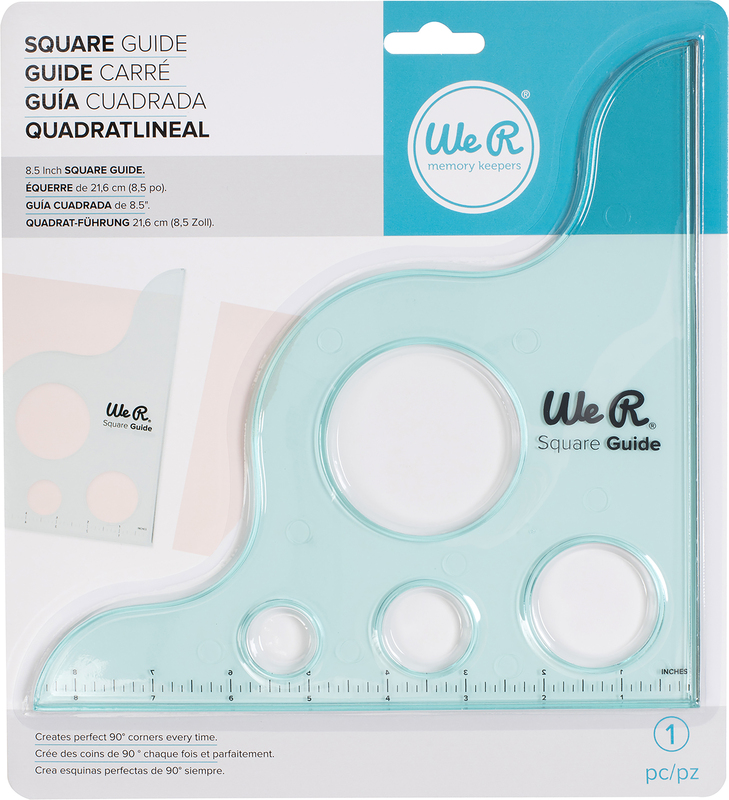 This square guide creates perfect 90 degree corners every time! The metal reinforced cutting edge helps to cut accurately. Works on all paper weights. This package contains one 8.5x8.5 inch square guide. Imported.